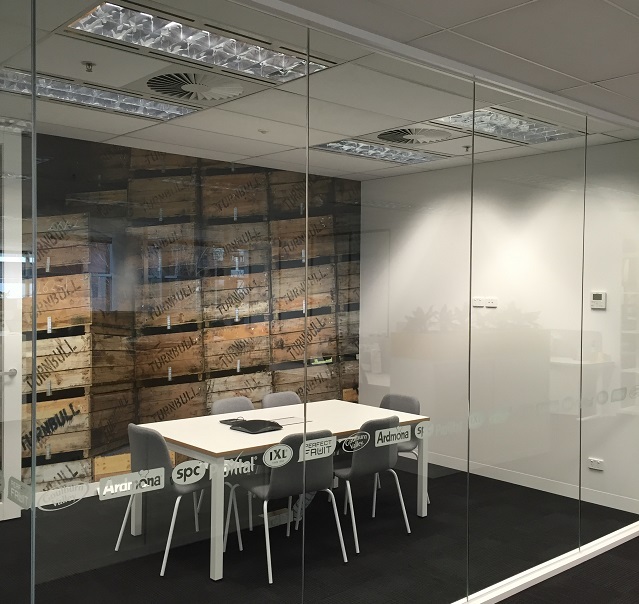 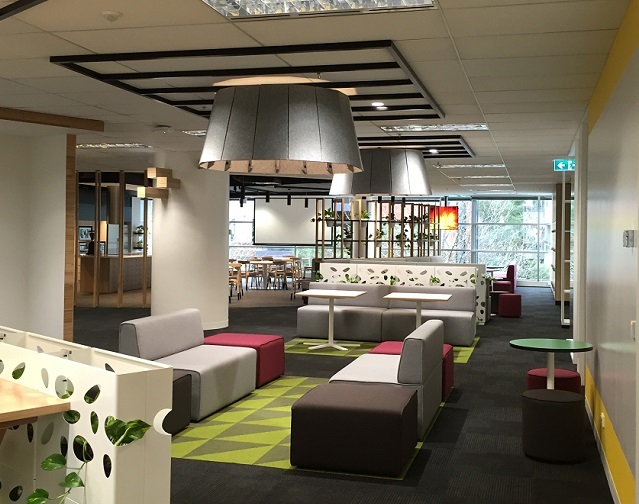 Prolux Electrical Contractors, along with By Design have designed and constructed a commercial office fit-out for SPC Global. 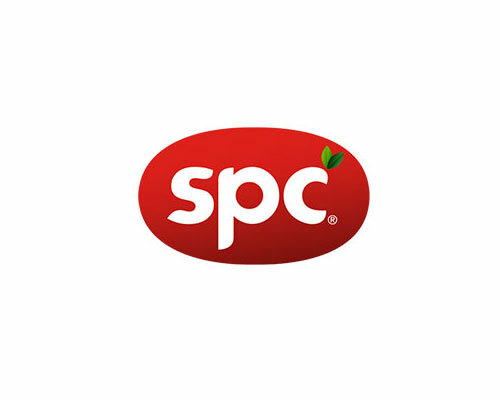 SPC needs no introduction, being the largest producer of premium packaged fruit and vegetables in Australia. 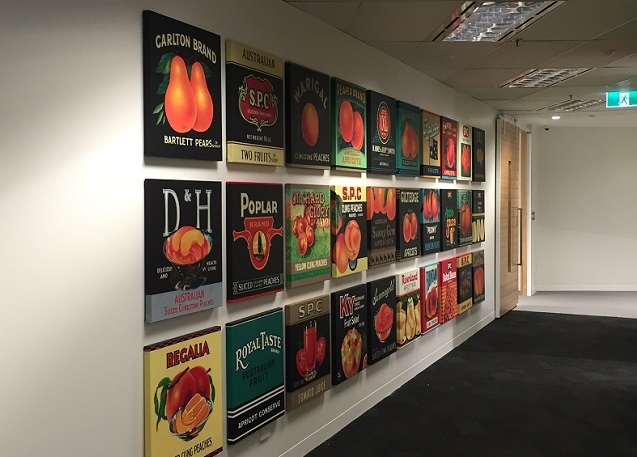 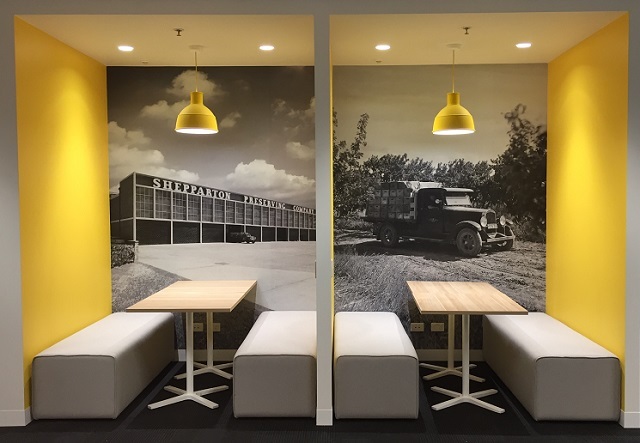 Since being established in the early 1900’s, they have developed local innovations in tasty and convenient packaged fruit products around the world, from their National Distribution Centre in Shepparton Victoria. 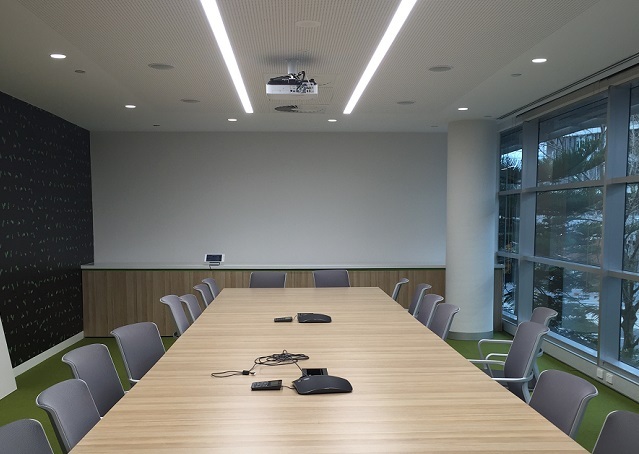 Proluxs’ electricians provided and installed all electrical work, consisting of office power, TV, AV, lighting installation and data cabling. 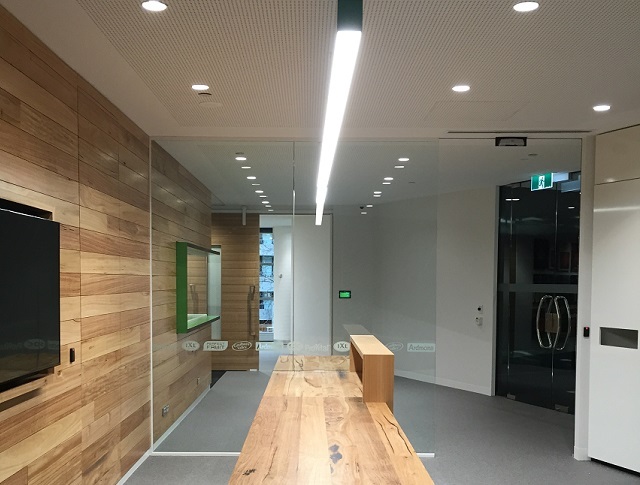 Prolux paid special attention to installing custom made light fittings; grid ceilings were made to suit the exact dimensions of the LED extrusion fittings, and colour matching the powder coating that was required for a seamless finish. 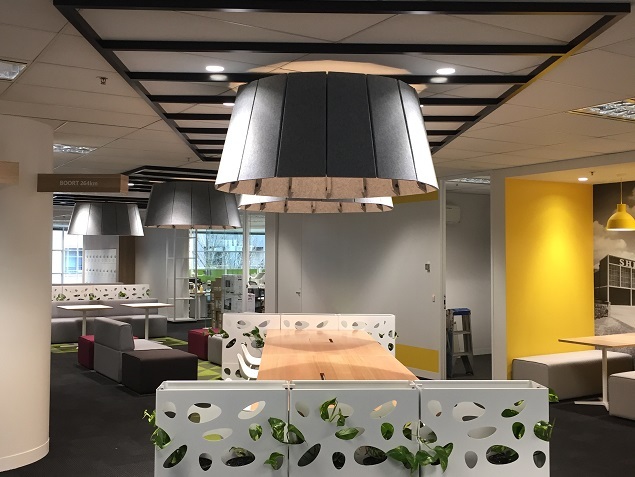 The large pendant lights were constructed from a fabric, which meant they required delicate handling, therefore special attention was made to ensure they were installed and hung correctly. 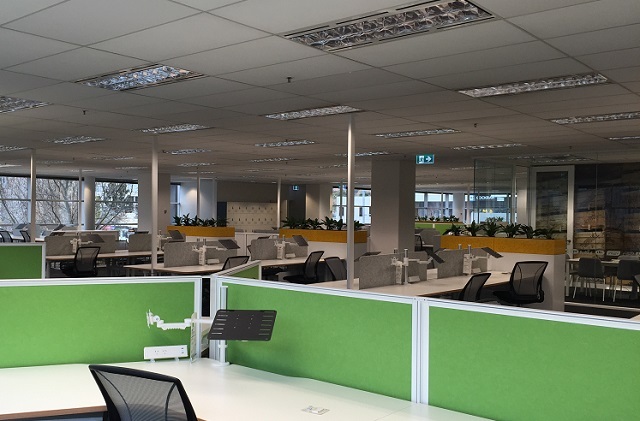 All data cabling was run back to the comms room, with extra length made available at each workstation; the new workstations installed were both stand and sit for the user’s convenience. 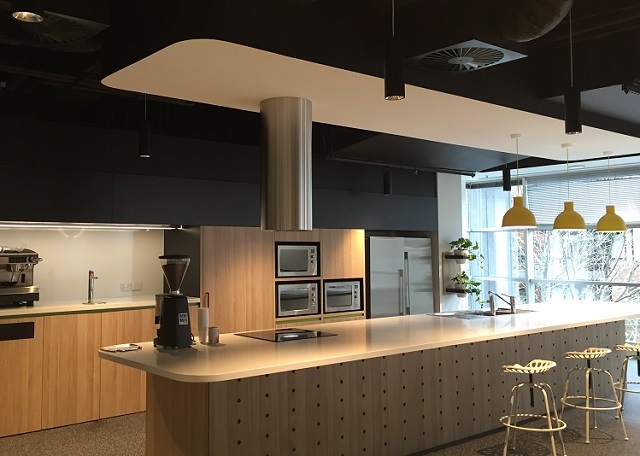 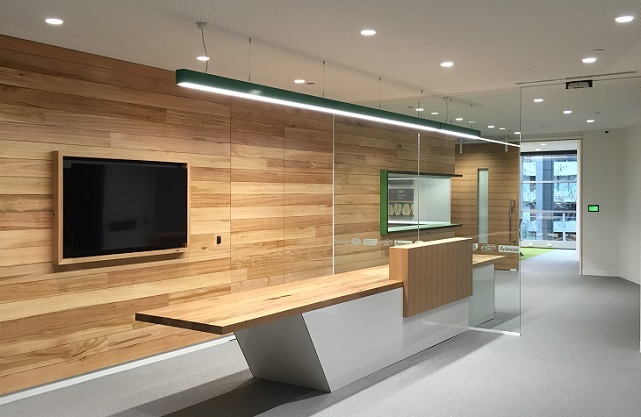 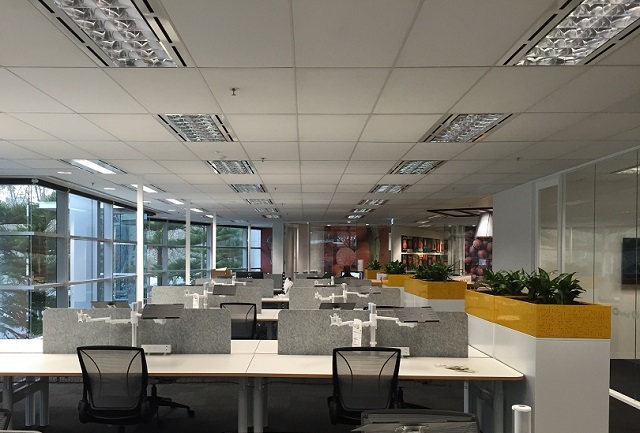 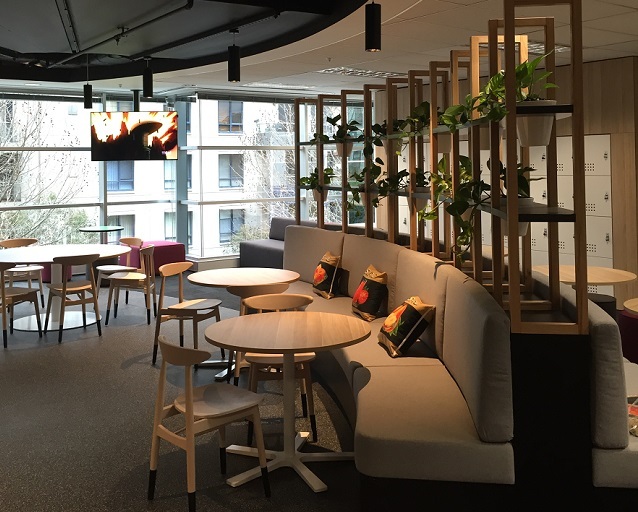 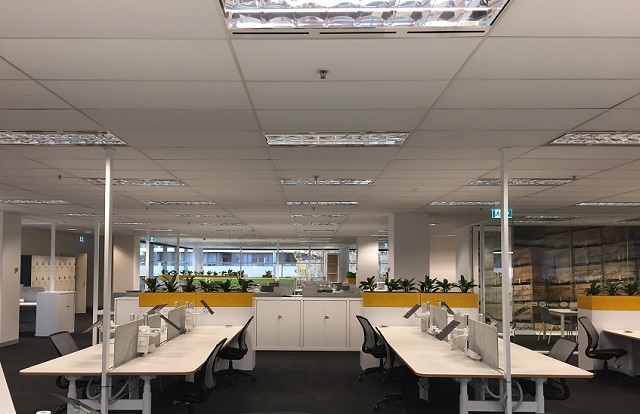 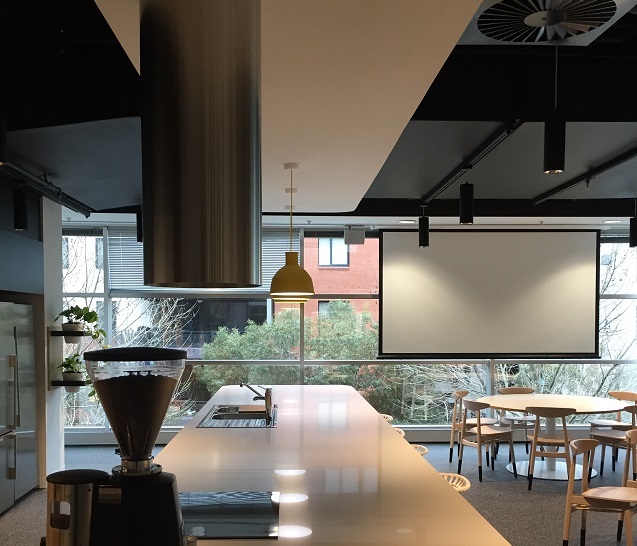 The office area at Level 1, 678 Victoria Street in Richmond covered 1433.20m2, with the electrical fit-out taking a duration of 10 weeks to complete.